Flickr/Christopher Rose. Some rights reserved. It has been a very eventful year for the Eastern Mediterranean. Cataclysmic changes in the domestic politics of most regional countries, intense debates over the future of the region’s large hydrocarbon reserves and a fierce armed conflict in the Greater Syria region will possibly make 2014 a catalytic year for the region’s future. It may even go down in history as an annus mirabilis. At the level of rhetoric developments have been equally impressive. After being in limbo for a year, the moribund talks on the Israeli/Palestinian conflict seemed for a moment to gain positive momentum, despite optimists being refuted soon. In Cyprus, the Joint Declaration of February 11 led some to believe that a solution might lie on the distant horizon. If not, it was at least saluted as a gesture of good will by the leaders of the two sides. The US, the UK, the EU, Russia and most international actors welcomed the Declaration as an auspicious development for the island’s issue. Some insiders were slower in cheering. The centrist DIKO party dropped out of the governmental coalition due to what it perceived as a counter-productive ambiguity in the Declaration and the conferring of sovereign status to the TRNC. Indeed, reiterating that “the status quo is unacceptable” did not shed much light on the Greek Cypriot leadership’s intentions. But the DISY approach to the Cypriot conflict had already been discredited due to a perceived oversized amenability towards Turkish Cypriot words and actions. Part of an AKEL-DISY axis that has traditionally been considered “conciliatory”, AKEL came out in support of the Declaration. In the TRNC, most parties welcomed the Joint Declaration, with the exception of Eroglu’s National Unity Party and Serdar Denktaş’s Democratic Party. Those two parties pointed to elements in the Joint Declaration that they do not support (mainly the issue of a single sovereignty) but endorsed the negotiations ensuing the Declaration. Greek Cypriot President Anastasiades said as much himself when he asserted that it was American insistence that led to the resumption of the negotiations. This is not negative in itself. But as is the case with Israel/Palestine, foreign intervention, benevolent as it might be, fails to address societal concerns. Indeed, Secretary of State John Kerry and Vice President Joe Biden might have had all the good will in the world to get the two leaders to talk. But any initiative that neglects the role of the grassroots is bound to lead to an impasse, or at best to widespread dismay. This idea was pressed upon me by Ahmet Sözen, Chair of the Department of Political Science and International Relations at the Eastern Mediterranean University in Famagusta. Professor Sözen has long been an advocate of a multi-track approach in Cyprus, a process that he says must involve a plethora of civil society organizations, academics, professionals, as well as politicians. The Cyprus 2015 initiative is a good step towards this direction, but even that and its sister initiatives are attended by the “same, converted ones since the 80s and the 90s”. In a nutshell, part of the solution in Cyprus passes through a plethora of bi-communal initiatives springing from the grassroots up. The blame is hard to pin. Initiatives on both sides are not lacking: earlier in the year, the Teachers’ Association of the TRNC staged a demonstration where it protested the history-teaching methods at Turkish Cypriot schools. The demand of the Association was to teach a version of history that is more conciliatory and less hostile to the Greek Cypriots. And according to Professor Sözen, the Teachers Association is a very significant body, progressive, with a 3,000-strong membership. The same can not be saidabout its Greek Cypriot counterpart; the latter is comprised by “rights-wingers and nationalists”, says Professor Sözen. One should not dismiss the importance of initiatives such as DRASY-EYLEM, a bi-communal radical left alliance that took part in the recent elections to the European Parliament. Consisting of 4 Greek Cypriots and 2 Turkish Cypriots, DRASY-EYLEM won 0.9% of the votes. But Sener Levent, a Turkish Cypriot journalist for the seminal “Afrika” newspaper and a prominent figure of Cyprus’ peace movement only got 1,05% of the votes. Given his stance and interventions in the bi-communal talks, Levent’s electoral result could well be a mirror of the distance (or ignorance) separating the two communities. Much ink has also been spilt on the nature of measures that could help create a climate of mutual trust. It is no secret that the return of the fenced off area of Varosha in the eastern region of Famagusta, has for long been a Greek-Cypriot demand. Current US Vice-President Joe Biden has in the past submitted a bill in the US Senate calling for Varosha’s return. And this return to its initial inhabitants has been a staple in the United Nations Security Council Resolutions for some time now (starting with UNSC Resolution 550). However, the view among the Greek Cypriot establishment is that Turkish Cypriot leaders are discussing Varosha with an eye on returns that will surreptitiously upgrade the status of the TRNC to that of a state. Such measures include the opening of the Tymvou airport to international flights as well as direct trade with the port of Famagusta. With regard to the latter measures, the Turkish Cypriots seem to have found an important ally: the European Commission has repeatedly asserted that Varosha will be part of a final solution and not a CBM. This becomes all the more striking when contemplating President Anastasiadis’ insistence that a solution is reached under the auspices of the EU and in accordance with the EU acquis. It thus becomes clear that there is still very little common ground when it comes to CBMs. 4) (De)militarization and security disequilibrium. The military imbalance on the island is another permanent source of friction. It is certainly true that both sides have security considerations. As Guarantor Powers, both Turkey and Greece maintain Cypriot garrisons. The Hellenic Force in Cyprus (ELDYK) numbers approximately 1,000 troops with the Greek Cypriot army (National Guard) numbering around 12,000 active troops. The Turkish Cypriot army (Security Forces Command) numbers around 9,000 active troops. But the Turkish Forces in Cyprus (Cyprus Turkish Peace Force Command) outnumber any other unit on the island. At 43,000 troops, the Turkish presence on the island is hardly justifiable. One should not forget that is number was upped to 43,000 (from 36,000) in 2013, without any strategic development justifying the above and while the number had remained stable between 2001-2012. Professor Sözen believes the number of Turkish forces reflects deep security concerns among the Turkish Cypriots. Some of them do not want to face another ’63, be expelled and killed by Greeks. But even if these sensitivities and concerns are to be taken seriously, Professor Sözen believes that a unilateral withdrawal of 5,000-10,000 troops would be a goodwill gesture, or even part of a CBM package. Most Greek Cypriots (excluding the current leadership who views withdrawal as the end) would object: they view the withdrawal of Turkish troops en masse as a precondition and a means to peace. 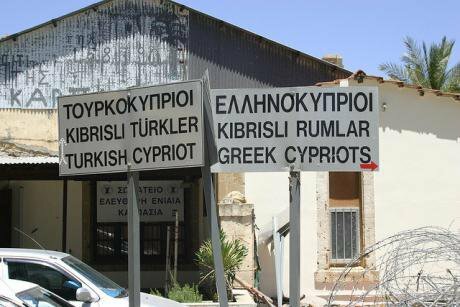 Finally, one should not forget that under the Talat-Christofias Convergences, the Greek Cypriots did not object to the withdrawal of the Greek forces, while the Turkish Cypriots very much did so with respect to the Turkish ones. Still, in a 2012 poll by the eminent Turkish think tank TESEV, dismay with the Turkish army in Cyprus was shared between Greek and Turkish Cypriots. Great symbolic significance was attached to Dervis Eroglu’s statements at the UN last April, where he said that he doesn’t accept any distinction between the TRNC’s citizens. This was seen as an implicit identification of the settlers with the indigenous Turkish Cypriots. Although the settlers are highly unlikely to go anywhere even post-solution, the naturalization of large numbers of immigrants who enter Cyprus from the south and then cross to the north would be both problematic and unfair to the island’s indigenous population. In support of the above assumption, Eroglu has recently stated that all citizens of the TRNC will also be citizens of the new state. As with most conflicts, the Cypriot dispute is a very complicated one. A plethora of political, cultural and economic variables should be factored in when contemplating a solution. At the moment, and despite strong US pressure, talks seem to be reaching another impasse. It is thus imperative that all of the above be re-evaluated and re-negotiated - anew if needed - and with minimal bias. There are no shortcuts to success and the latter is far from guaranteed. But given a climate of turmoil in a big chunk of the region, the two communities should at least retry to find some common ground. This article is partially based on an interview conducted with Professor Ahmet Sozen, Chair of the Politics Department at North Cyprus' Eastern Mediterranean University (EMU), in Famagusta.